Participants in the Plymouth Half Marathon face some challenges, especially if this is their first time taking part in the race. One of the biggest issues that people face, is travel and parking accommodations. Since the marathon is one of the most popular in the UK, it pays off to conduct the best planning possible. The best part of running in a marathon is the race itself, but you must be prepared so that the entire experience is worth remembering. Whether you are a runner or spectator, you want to make sure that you have the best time possible. Let’s take a look at some ways that you can make the trip a successful one. Make your travel plans far in advance of the actual event. When you book your hotel stay early enough, you can avoid having to travel a long distance to get to the start of the race. Hotels fill up quickly months in advance. Most runners look for the best hotel deals before they do anything else. This allows them to save money in the process. Some of the best deals are located online, so it just requires the right amount of research. Check blogs and reviews to find the best hotel accommodations for your price range. It’s a better idea to read independent reviews in order to get unbiased information. This will help you to make the best financial decision. The runners are not the only ones who need to make great preparations. Spectators also need to plan ahead. If you plan to come in support of a family member or friend, then you need to book a hotel which is nearby. Additionally, it is important to find the best vantage points to view the race. You must choose whether you would like to watch the race along the way, or if you would prefer to be at the race’s conclusion to provide your support. Some areas along the race route are more popular than others. In order to get the best spot, you need to get there early. Bring binoculars and signs to show your support. Thankfully, there are plenty of great places to park for the Plymouth Half Marathon. One way to ensure the best parking spot is to do a Google Maps search. This shows you exactly where to go in order to get where you need to be. 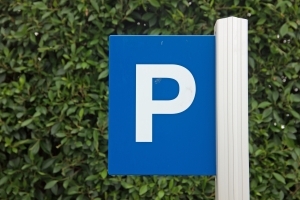 Some notable parking areas include Regent Street Car Park, Notte Street, Guildhall Car Park, Civic Centre Car Park, and Drake Cinema Car Park. Some people choose to park at the National Marine Aquarium. This is a great area because it is close to the course. In addition to being close, it allows you and your family to visit the park after the conclusion of the race. This adds to the enjoyment of the event. Perhaps the best way to maximise your experience, is to talk with others who have participated in the marathon in past years. They can inform you of the best places to park, as well as the best hotels in the area. The key is to find parking which is safe.